At Amity, your child will benefit from proven education methods, active play, and balanced nutrition. We’re the place to grow for children six weeks to 12 years old. When you need care for your child while you go to work or college (or both! 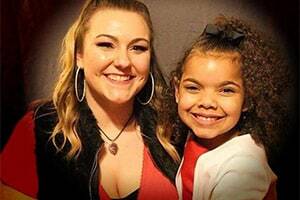 ), you need to know they’ll receive excellent care that helps them grow strong physically, mentally and emotionally. Amity Learning Center delivers just that kind of care. Why choose Amity over other day care providers? With the exception of a few holidays, Amity Learning Center is open every weekday, before and after normal business hours. Children can arrive as early as 6:30am. Many day cares require that a child be 12 or 18 months old before they will be accepted. We offer care from the time your child is six weeks until age 12. We’re more than just a day care. 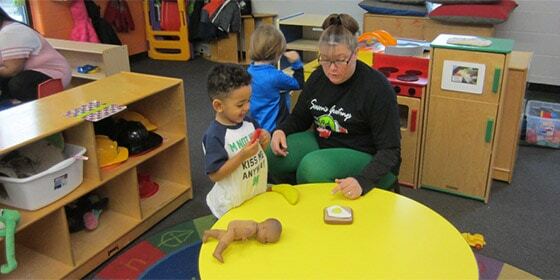 All our teachers are dedicated and certified, and our program is certified by the National Association for the Education of Young Children, (NAEYC). We only use proven education methods, such as Creative Curriculum and Teaching Strategies Gold. This curriculum is tailored to each developmental stage and promotes learning through play. Our students get to take regular field trips to explore the outside world and learn by doing. Enrich your child with new experiences! Our food service staff cooks and serves three nutritious meals each day, as well as snacks. We know how important it is for children to be active, so we not only encourage active play, we make sure physical education is embedded in everyday activities. “My daughter went to Amity for a few years. I love the teachers; they’re always very kind and when you come to get your child the teachers always tell how their day was, which I love. They also provide breakfast, lunch and a snack, and the food is nutritious. When the children eat they have to sit family style, which helps children learn proper table manners. “Amity is like a second home to my children. 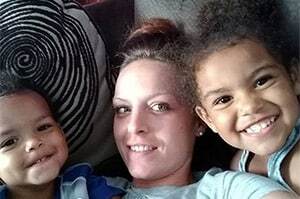 I’m a single mother with two jobs so my kids are there from 9-5, five days a week. Amity has been there for my kids and I for almost five years now. I have always felt comfortable coming to the teachers or office staff with any concerns considering my children, and they were always addressed in a professional manner. Not only do they follow state and DCFS regulations to a T, they educate the kids well and perform assessments to help them become school ready. Amity has a family night once a month, a yearly trip for the families, in the summer they take kids to the movies and the pool, and much more. They are also very involved in our community. They have food drives quite often. They’re great at keeping families updated and reminding them on everything going on at the day care. Amity and their staff has always made my children and I feel welcome and safe. Becoming part of the Amity Family is a simple process. Fill out the form below to get started, or call us. We’ll provide you with some forms, so we can get the right information to bring your child into the program and help you with costs. After that, we’ll arrange a tour of the facility, and you’ll meet the teachers for your child’s age group. When we’ve taken care of all the details together, your child will be able to come to Amity for care on a daily basis, and receive the education, exercise and nutrition they need to grow into happy adults. 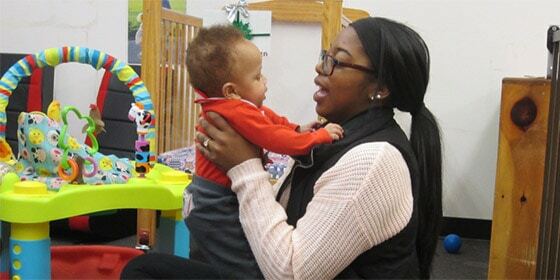 Teachers talk, read, and sing to infants and engage them in play. All activities are designed to ensure social-emotional development as well as to build problem solving and self-help skills. Daily activities in this program promote language development, problem solving, motor skills, social interaction and self help skills. For instance, this class introduces potty training. In these classrooms, teachers begin encouraging independence, while offering science, math, art, and language development activities. Students also hone social and potty training skills. For this age group, our teachers promote math, early literacy, writing, art, science, social studies, technology and social skills through play-based learning. Teachers design activities to meet the needs and interests of all children. Students complete homework, play games, use computers and enjoy arts and crafts. 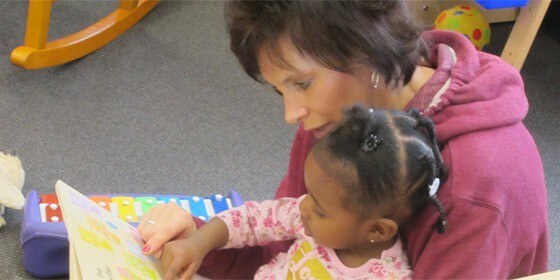 Our summer program focuses on developing reading, writing and social skills. With this age group, we use the 2nd Step violence prevention curriculum. 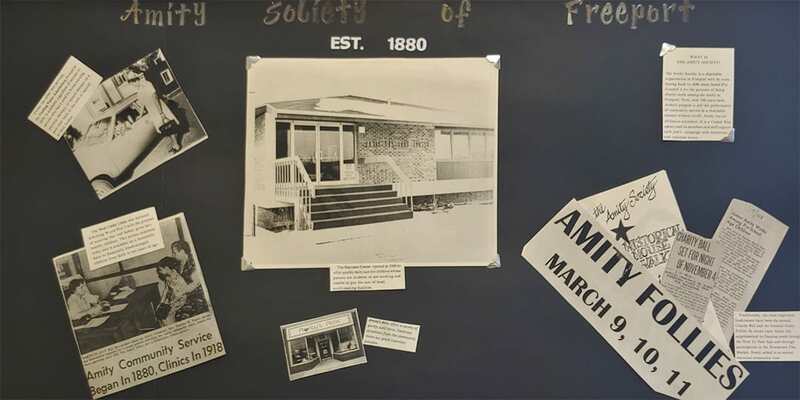 Amity Learning Center is part of the Amity Society of Freeport, which is not only the oldest charity in Freeport, but is one of the oldest children’s charities in America. Founded by Isabel Fry and Dr. H.D. Jenkins in 1880, the Society began as mission to provide needed assistance to the poorest local families, giving them (among other things) Christmas gifts, food baskets, and hosting an annual Christmas dinner for the needy. Over time, the Amity Society expanded, and by the 1920’s the Society had established an Infant Welfare Station, Orthopedic Clinic, Well Child Clinic, and Visiting Nurses Association. Always, the mission focus was helping those who needed it the most, and doing so on a local, person-to-person level. 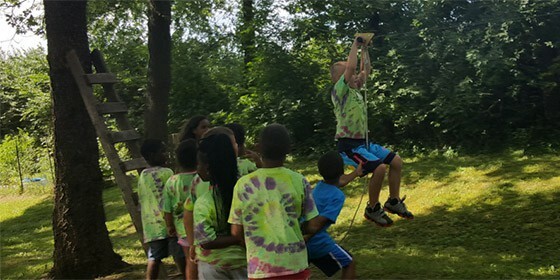 In the 1960’s, the Amity Learning Center was launched along with Freeport’s original Head Start program, an educational mission that continues to adapt and grow to this day. Nothing’s more important to you than your children’s wellbeing, but choosing the right care setting can be difficult. This downloadable checklist will give you insight into the questions to ask and the features to look for in a day care or afterschool program. It’s our free gift to you!